Make an Easter Egg Countdown! My daughters love having an Advent calendar that they open each day leading up to Christmas, and I thought it would be fun to adapt that idea to Easter as well. Introducing the Easter countdown calendar! 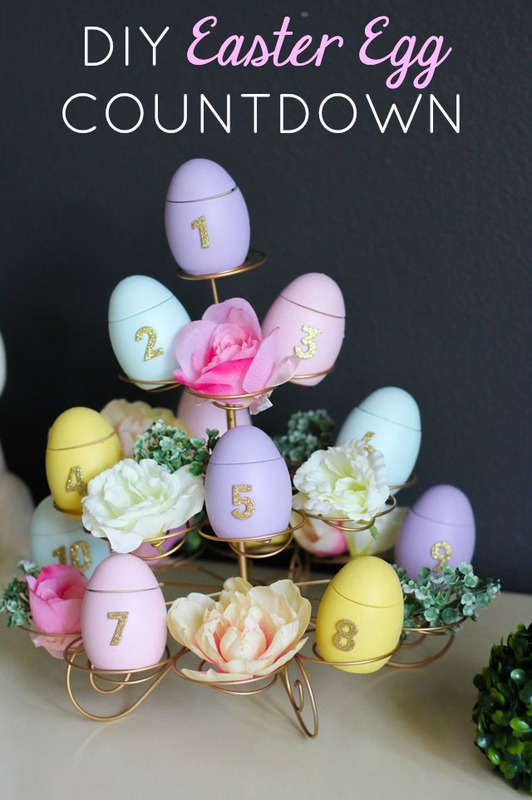 I created this for Oriental Trading’s Fun365.com site by using these wood Easter eggs with lids along with a cupcake stand for a non-traditional take on a countdown calendar. This countdown would be just as fun for adults as it is for kids. Read on to see what I filled my eggs with! 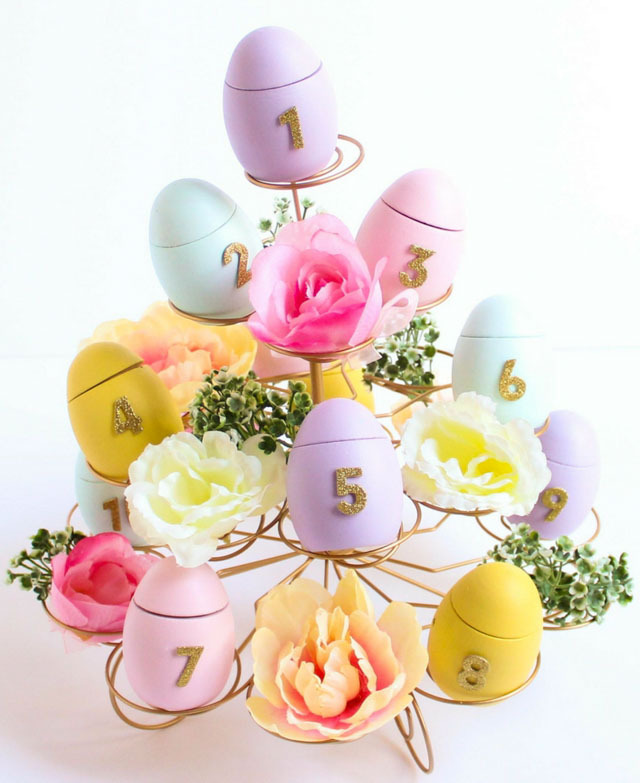 The cupcake stand makes for such a pretty display when filled with the pastel-painted eggs and some faux flowers. I plan to set the stand out ten days before Easter and use it as a centerpiece on our kitchen table. I also incorporated the countdown into the decor for the vintage floral Easter brunch I styled in our dining room! 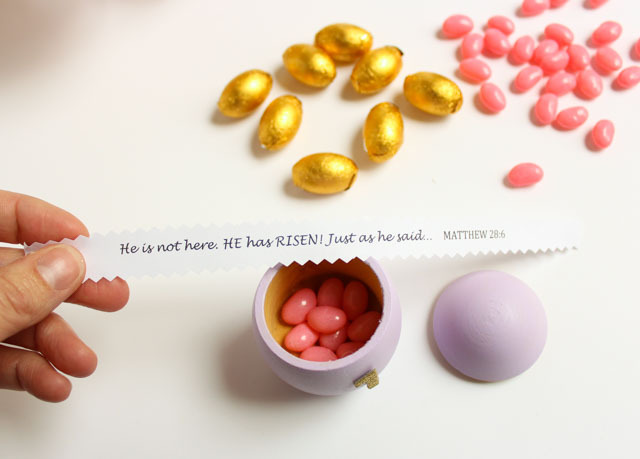 Within each of the eggs, I placed a little bit of candy and an Easter-related Bible verse that I printed onto computer paper and cut into strips. I rolled up the strip and placed it on top of the candy. Here are some example Easter Bible verses you can use! I’m looking forward to using our first ever Easter countdown calendar and love that I can reuse it year after year. If you want to make your own, there is still time! This idea could be adapted with large plastic eggs too. 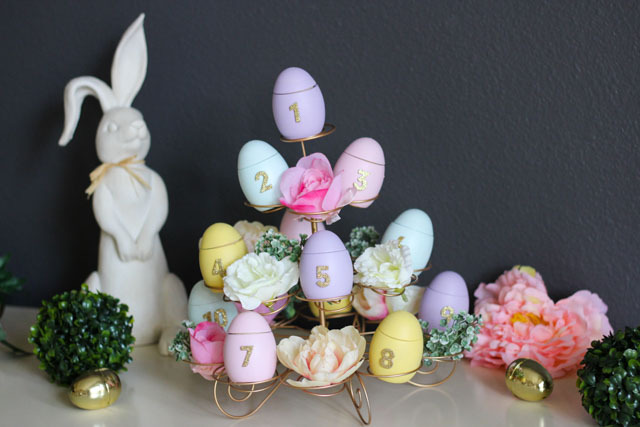 Head to Oriental Trading’s Fun365.com for the step-by-step Easter egg countdown calendar tutorial and full list of supplies! This post is sponsored by Oriental Trading.